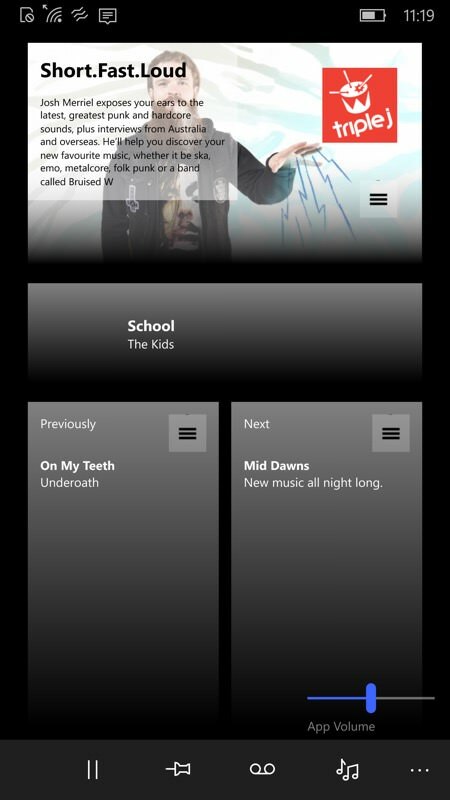 With bandwidth being pretty plentiful these days, perhaps even in the Australian outback, it's good to see more and more UWP apps for Windows 10 that deliver digital speech and music from radio stations around the world. 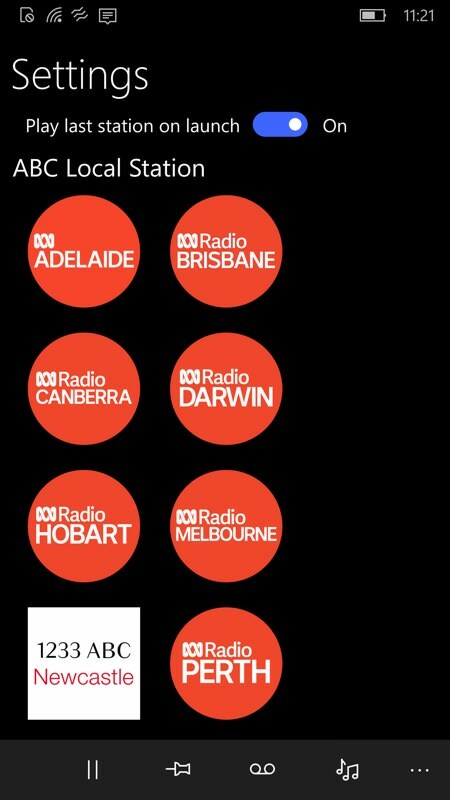 In this case the ABC network of national and local radio stations in Australia. Give it a whirl, it works pretty well. 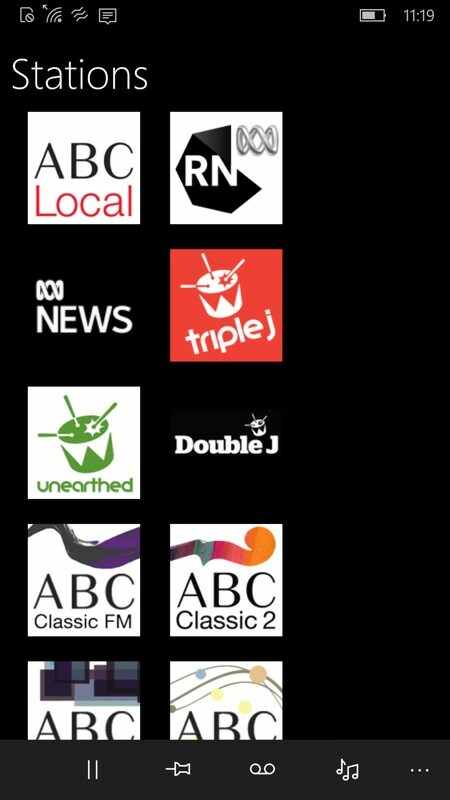 Player for the Australian Broadcasting Corporation's broadcast and digital stations, including Triple J, ABC Local, Radio National, ABC Classic, ABC Jazz and Double J. 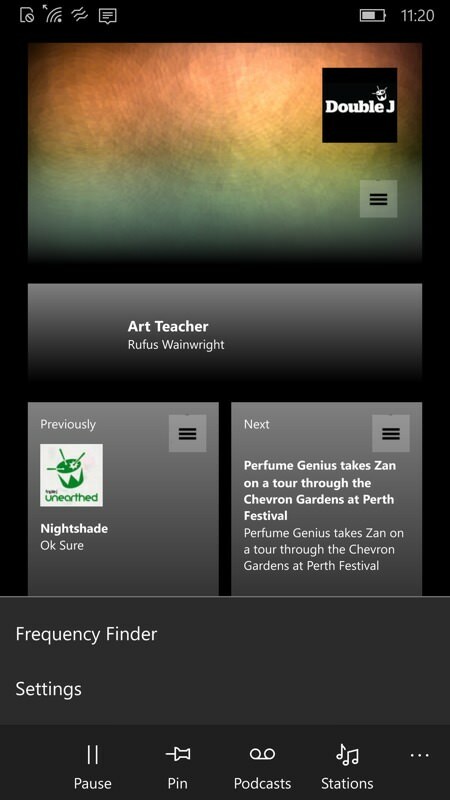 Also allows you to discover and play ABC podcasts. Shows track information where available. It's late at night in Australia as I write this! The UWP app is somewhat basic but delivers exactly what it promises 'on the tin'. 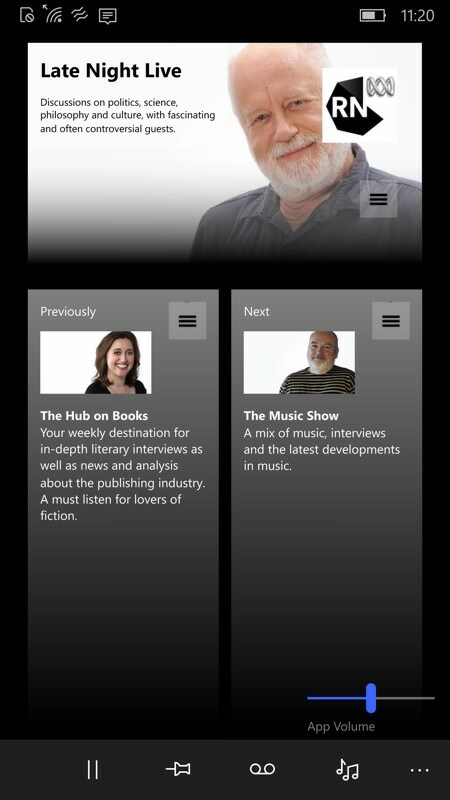 There's a rather nice link through to all the stations podcasts - and you can dive deeper into streaming any episode from each of these, all from within the app; (right) a separate volume control for the player is multiplexed with the phone's system volume, so both need to be up for maximum loudness. 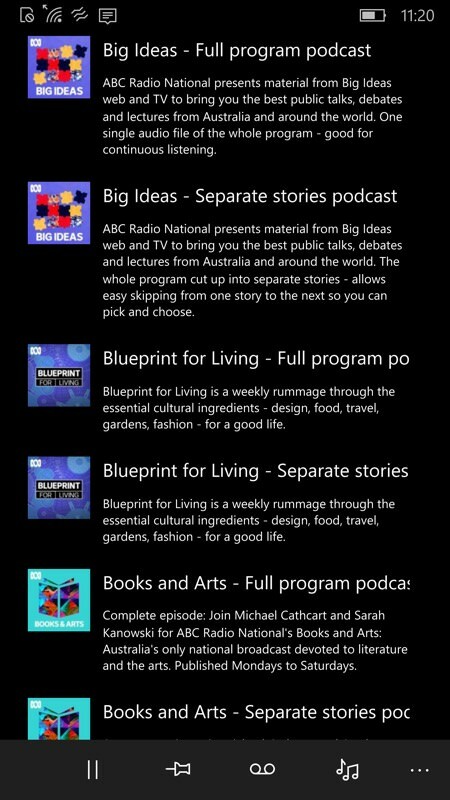 You can grab ABC Radio FTW! UWP here in the Store - it appears to work equally well anywhere in the world, despite a location request when starting up!